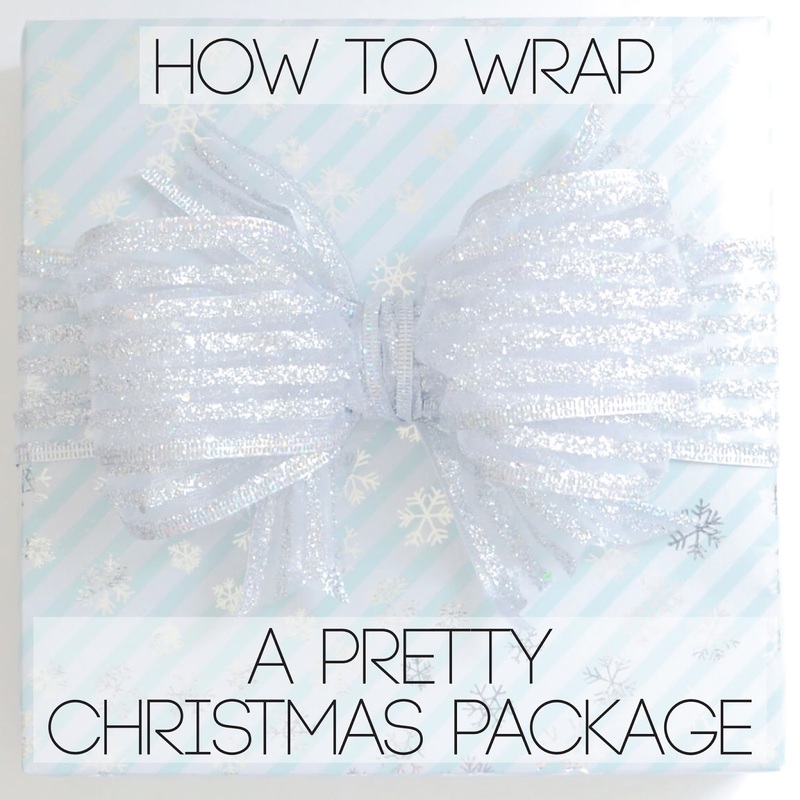 If you still have wrapping to do, you're in luck because I've put together a simple tutorial on how to quickly wrap your gifts! I have recently created a YouTube channel that I plan to start using to create tutorials on styling and other DIY projects that I will be blogging about in the new year, so to start it off, I experimented with a tutorial for you to see the steps listed below in action! 1 | Start by folding one side, ensuring there is enough left on the other side to completely cover the back side with about 1 inch overhang. 2 | Fold over other side, creasing at overhang. This creates the seam on the edge and not in the middle of the package! 3 | Pull taut and tape seam along the edge. 4 | Turn package to one side. Fold over left side pulling taut, and tape. 5 | Fold and tape down excess paper at corner. 6 | Pull other side taut, crease, and tape. 7 | Crease corners of one side to make them crisp. 8 | Fold flap and tape. 9 | Make corners crisp on other side. 10 | Fold under edges of flap to make even and crisp, tape. 11 | Repeat same steps for folds on opposite side. 12 | crease edges with index finger and thumb to make crisp. 13 | Put a bow on it! This sparkly bow takes less that a minute to make, and I'll have a tutorial coming tomorrow! Stay tuned!